This article by Todos Santos Eco Adventures was published in the inaugural issue of Janice Kinne’s Journal del Pacifico. In the fictional movie Rocky, boxer Rocky Balboa’s hero is real-life boxing champ Rocky Marciano, the only boxer to hold the heavyweight title and go undefeated throughout his career. Both the fictional and the real Rocky come from working-class households, and find discipline, passion and success in boxing. It’s no wonder then that Alexis Nuñez, the son of a Todos Santos palapero, was inspired by the movie Rocky to take up boxing and is passionate about the sport and the discipline it provides. The real wonder is that there is a real-life Mexican boxing champ to coach him – in Todos Santos – and a community that is pulling together the resources to make the boxing dream a reality for local kids. The story begins in the parking lot of Bodega Lizarraga in downtown Todos Santos. General Manager Moises Barraza Morales put up a punching bag one day and started inviting friends over to box. Word began to spread, friends of friends began to participate, and soon enough the local kids started coming around to join in the fun. Local business owners donated some equipment and before long the Chief of Area Promotion and Development of Sport, Julio César Covarrubias Gerardo, got involved and helped the parking lot fun evolve into a more organized program. Most importantly, Covarrubias brought in the coaching talent. And what talent! That potential was shown to the town during the first amateur boxing contest held here on October 29 in the auditorio. Two of our local boxing students with only 4 weeks of training – Alexis Nuñez and Cuauhtemoc Aviles – went head-to-head with seasoned champions from La Paz and Los Cabos, winning several points off of their opponents, if not the matches themselves. Coach Reducindo was thrilled with their performances and is confident that we’ll be seeing great things from these two in the months and years to come. 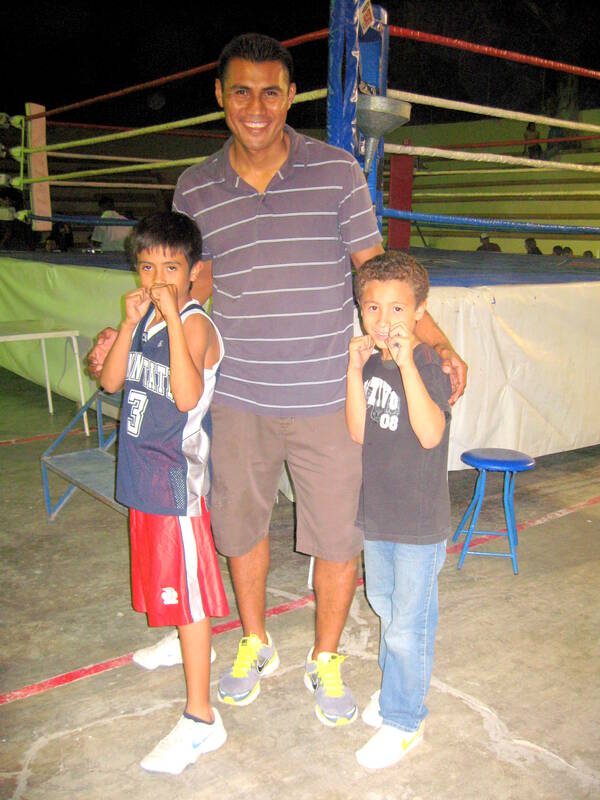 Reducindo is so committed to helping the Todos Santos boxing students realize their potential that he coaches them at least twice a week for nothing more than a little gas money. And you can help keep that positive trend going. Reducindo is donating his time and local businesses have donated some equipment, but the needs are still great for everything from gloves, mouth guards and head gear, to a ceiling canopy to hang punching bags. If you would like to get involved please contact Mauricio for specifics: Cell: 612-13-44478 or email: durm_27@hotmail.com. Rocky Nuñez? Cuauhtemoc Ali? It’s all possible and you can help make it happen! 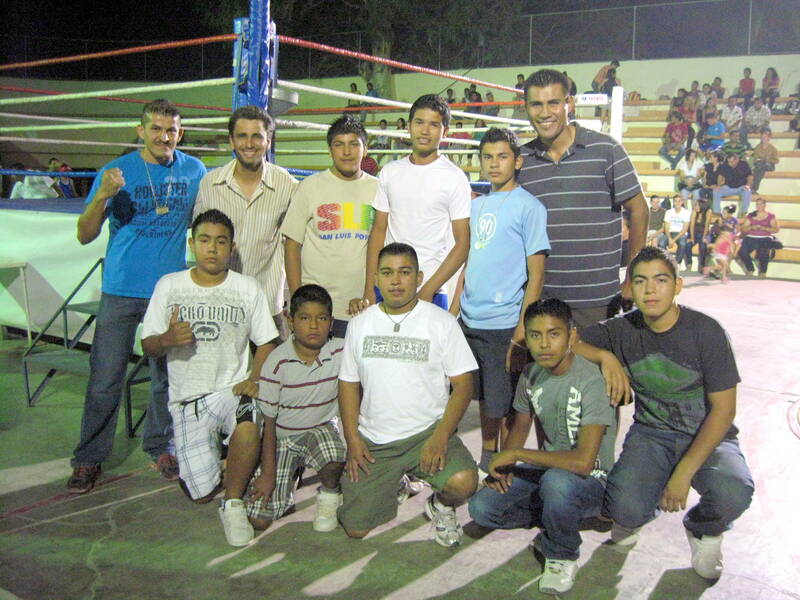 This entry was posted on November 16, 2011 by Todos Santos Eco Adventures in Culture and tagged boxing Todos Santos, Mexican boxers, Ramiro Reducindo Radilla, todos santos eco adventures.